We have been operating our title pawn business on Shurling Drive for 23 years. Our Shurling Drive office is a free-standing building across from Harvey’s Supermarket and Shurlington Package Store and directly beside the Citgo gas station. You can’t miss our custom pink and green signage and signature smiley face! Our Shurling Drive office formerly operated under the name of Ace Title Pawn from 1994 until March 2014. In April 2014 we changed our name to Cash Link Title Pawn and upgraded our brand and office facility. 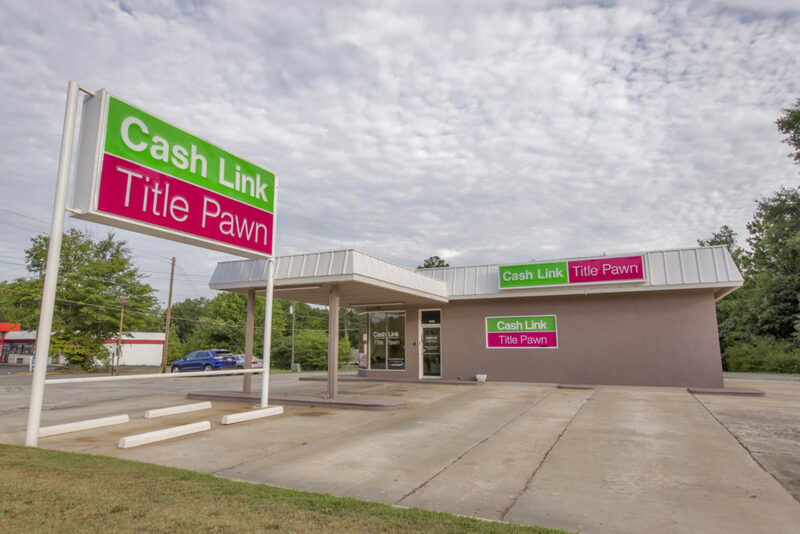 This location is one of three Cash Link Title Pawn offices in Middle Georgia serving East Macon, North Macon, all of Bibb County, Jones County, Dry Branch, Jeffersonville, Gray, Gordon, and many other surrounding areas. Our business has seen the local neighborhoods around Shurling Drive evolve and grow over our 23 years in the area, and we are proud to say we have been a part of this wonderful community for so many years! Cynthia has been the Store Manager of the Shurling Drive location since 2003. If you need a quick title pawn and are in this area, please give her a call and she will be happy to help. All loan proceeds are issued by check which can be cashed at one of our local banks. Remember, we are here to help! Coming from I-75 North or South? Travel to I-16 East and take Exit 1A for Spring Street. Take a left off the exit and continue 1.3 miles to Shurling Drive. Take a right on Shurling Drive and continue for 1.4 miles. Our location will be on your left. Coming from I-16 West? Take exit 1B for Second Street. Turn left onto Second Street and continue to Spring Street (Gray Highway). Continue 1.3 miles to Shurling Drive. Take a right on Shurling Drive and continue for 1.4 miles. Our location will be on your left.